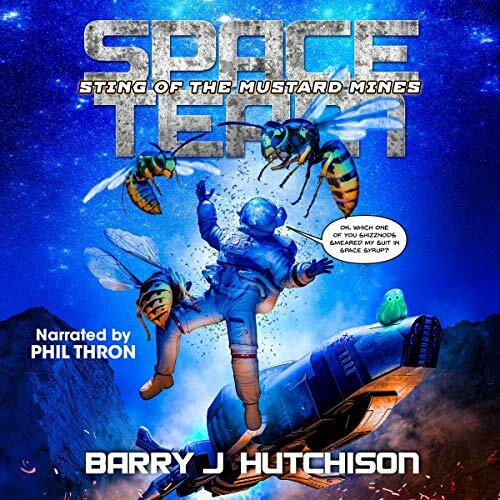 When a Weird Space Thing™ threatens to destroy planet Earth, Cal is determined to stop it. 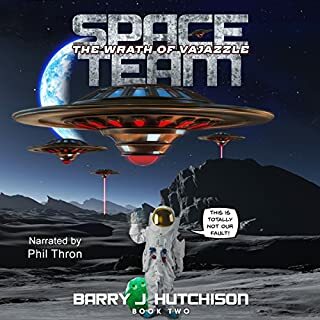 But when they get there, they find the place is still swarming with parasitic extra-terrestrial bugs, and that there isn't a whole lot left to save. 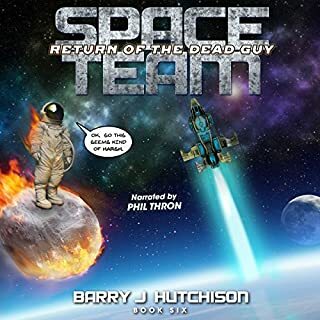 While battling an unexpected ghost of the past, Cal is abducted by aliens. Again. 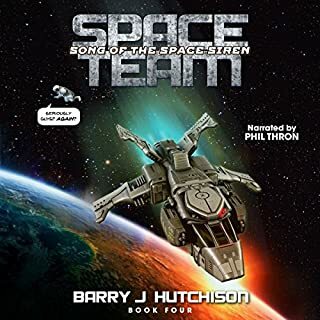 Brought before their covert High Council, Cal is given a choice: save his Earth and doom countless others to oblivion, or sacrifice it, so that parallel Earths may live. 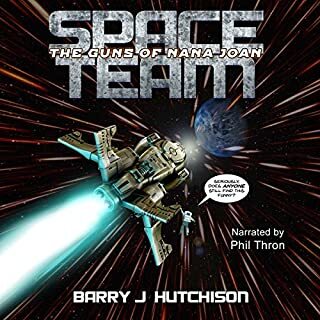 Cal Carver and his Space Team may have lost their ship, but they haven't lost their knack for attracting trouble. 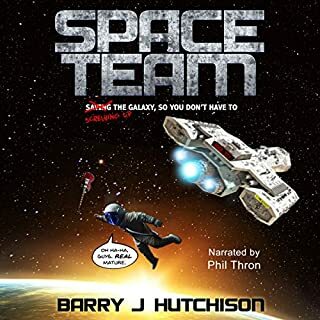 Just hours after setting foot on a new planet, Cal and the crew find themselves caught up in an interplanetary kidnapping plot. Reuniting the suspiciously-silent young victim with her parents on their far-off home world will make Cal rich beyond his wildest dreams. Unfortunately, half the pirates and bounty hunters in the galaxy have the same idea, and they're more than happy to take the girl by force. 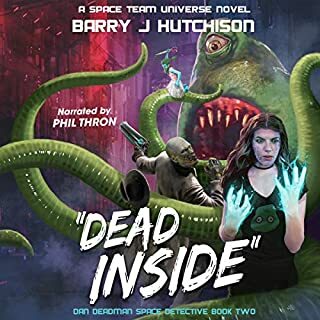 Suicide Squad meets Galaxy Quest, in this fast-paced, laugh-out-loud novel from the author the Independent calls, "the new Terry Pratchett." 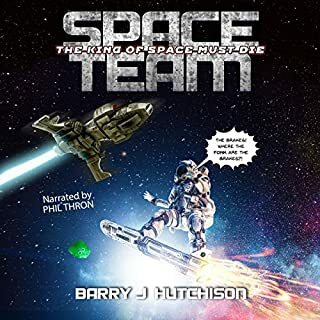 After saving an alien race and its god from a sentient zombie virus, Cal Carver and the crew of the Dread Ship Shatner are feeling pretty pleased with themselves. 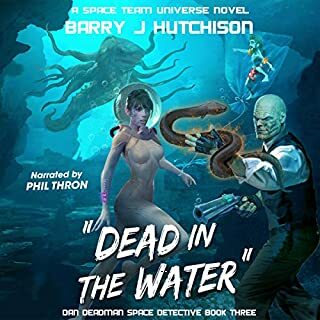 Unfortunately, the creator of the zombie virus is out for revenge, and has recruited the galaxy's deadliest - and oldest - assassin, Lady Vajazzle, to hunt Space Team down. 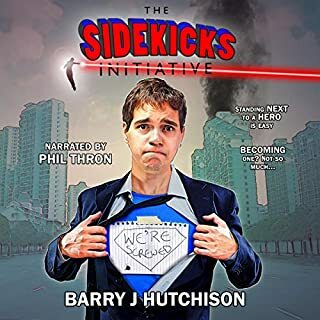 Cal Carver, petty-criminal turned space adventurer, is on a suicide mission - and he really hates suicide missions. 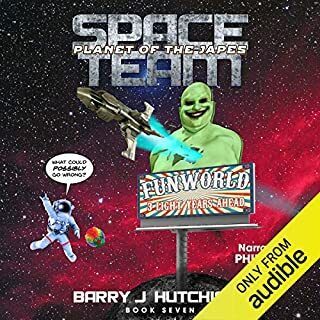 But this time it's to save his best buddy, Splurt, who has been taken prisoner by the elderly assassin, Lady Vajazzle, and the evil Zertex corporation. 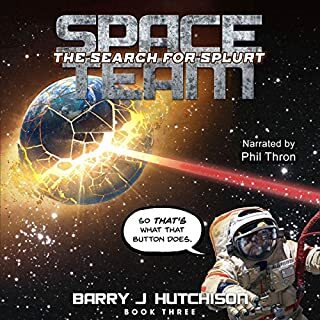 When they discover that the ship carrying Splurt never made it to Zertex, their search leads them through a wormhole to a mysterious planet unlike any they have seen before. 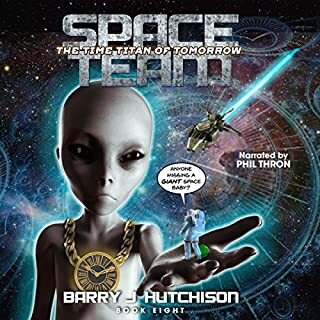 Will they survive this strange new world and finally find their friend? And, more importantly, does he even want to be found?